In the never-ending battle between pirates and DRM makers, there are no easy victories. Or at least, that was the case with notorious anti-tamper tech Denuvo until, well, yesterday. Denuvo anti-tamper was supposed to keep Conan Exiles’ cavalcade of burly barbarian men under lock and key, but the dang dongs broke free. Now they’re flapping and flopping every which way in the breeze. Turns out, it happened because of a boo-boo on developer Funcom’s end. “Denuvo was temporarily removed due to an error in the build process,” Funcom told Eurogamer. A subsequent update quickly restored it, but that didn’t stop pirates from catching Funcom with their pants down. Now there’s a DRM-free version of the game out there that people can play on private servers. Obviously, though, it won’t receive any updates, so it’ll forever be stuck in a state of very early access. In this case, Denuvo wasn’t cracked, so much as it fell off for a second. More broadly, though, time has not been kind to the software once regarded as the final boss of the morally gray game that is DRM-cracking. Resident Evil 7 got cracked in a week, following cracks of games like Doom, Inside, Deus Ex: Mankind Divided, Rise of the Tomb Raider, and Mirror’s Edge: Catalyst in recent months. The developers of games like Inside and Doom have also taken to patching Denuvo out of their games, though Denuvo told me it had nothing to do with cracks. Rather, Denuvo apparently “accomplished its purpose by keeping the game safe from piracy during the initial sales window” and was no longer needed. 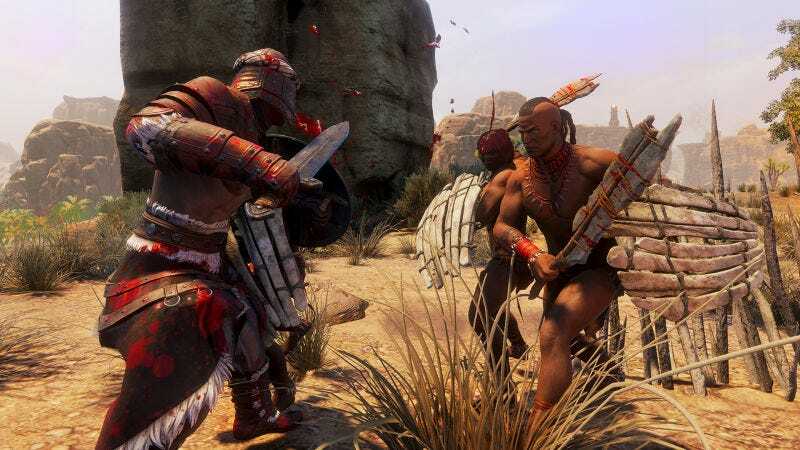 It remains to be seen what’ll happen with Conan Exiles down the line. All of this does, however, raise a question: If Denuvo won’t keep the dicks safe, who will?